Observations on life as a landscape painter in the 21st century. 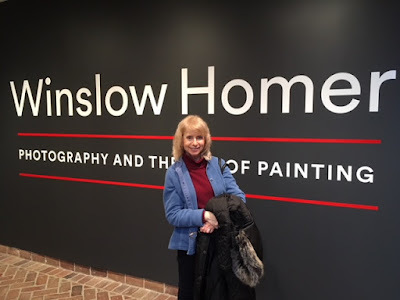 Right before Christmas my wife Alice and I drove up from Baltimore to the Brandywine River Museum of Art in Chadds Ford, PA to see their exhibition Winslow Homer: Photography and the Art of Painting. 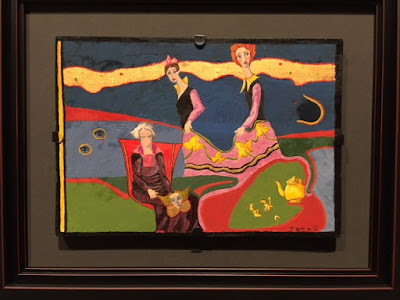 Organized by the Bowdoin College Museum of Art Co-Director Frank H. Goodyear and Dana Byrd, an art history professor at Bowdoin, the show runs through Feb. 14, 2019. Included in the show is a camera that had belonged to Homer. It's a treat to see this artifact from another time- it's partly made of wood! Along with photos Homer had taken, the curators pulled together a stunning group of Homer oils from several museums. His two mariners work together to squeeze the empty space between them into an expressive shape of its own. 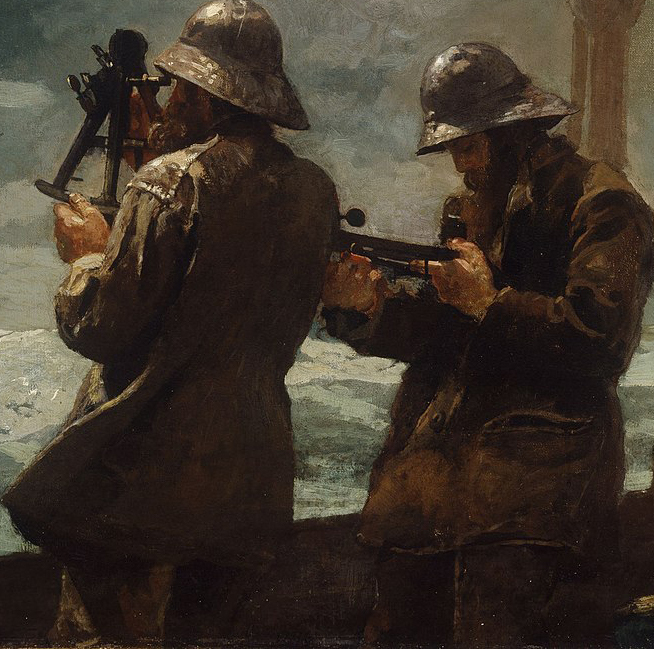 Though they're both dressed in the same foul weather gear Homer creates two individuals, each creating a silhouette that suggests different gestures and moods. Portland Museum of Art in Maine is represented by its diminutive oil Artists Sketching in the White Mountains. While modest in scale, I know of few other paintings that can move our eye so easily into deep space. Years ago Homer's White Mountain painting taught me an important lesson for my own work. 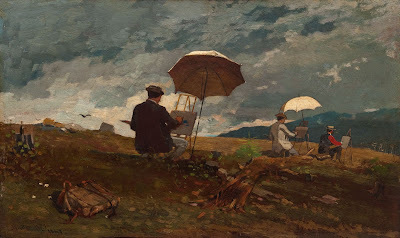 What caught my eye when I first saw this piece was the purposeful way Homer painted each umbrella so differently against the sky. It drove home to me that any form you paint has to be seen as part of a chord of colors- the color behind your form has to push itself forward and help you shape the form in front. As an artist you train yourself to see several colors all at once instead of studying them in single isolation. Another old friend in the exhibition is from the Smithsonian American Art Museum. Tracing the line where white water meets the shore is one visual surprise after another. 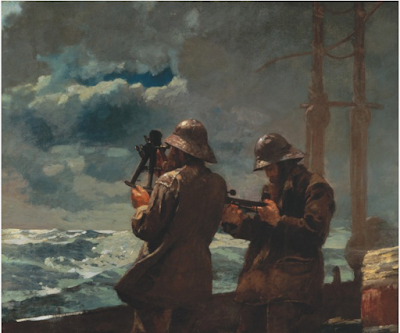 1894, Smithsonian American Art Museum, Washington, DC. And the best surprise of the visit to the Brandywine was discovering the show includes one of the key paintings that spurred me as a child toward a life as a painter- Homer's The Artist's Studio in an Afternoon Fog. This was the one painting that made a huge impact on me on my very first visit to an art museum- my 4th grade school trip to the Memorial Art Gallery in Rochester, NY. 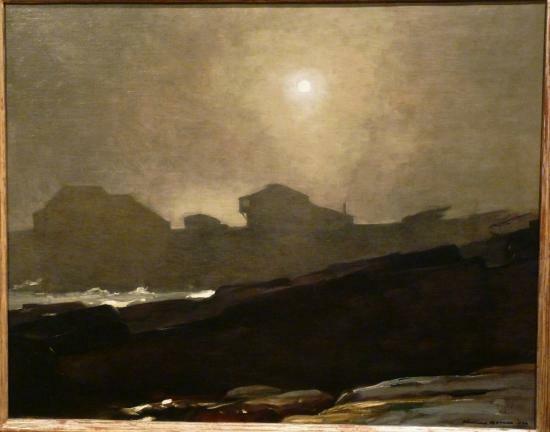 Seeing its evocation of sunlight glowing through the fog reminded me of something I'd been moved by many times at my boyhood home on the shore of Lake Ontario. That painting showed me that art wasn't something "out there" but rather could be something that described and celebrated my own personal feelings. Here's my wife Alice standing in front of Brandywine's spiffy banner at the entrance to their exhibition. And here's me, grinning away next to the lovely Homer from the Portland Museum. I told you it was just a little guy, but what a little powerhouse. The exhibition runs through February 17, 2019. P.S. 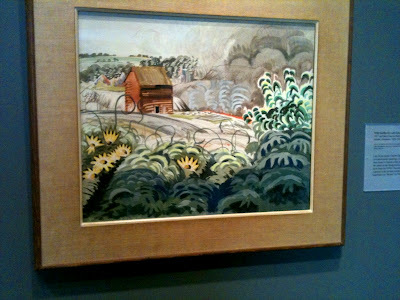 If you go to see the Brandywine exhibit take a side trip over to Somerville Manning Gallery in nearby Greenville, DE. It's just downstream on the Brandywine River situated in an historic mill house. They have great art. In the 4th grade I was bussed along with my class to my local art museum, the Memorial Art Gallery (MAG) in Rochester, NY. I loved it. 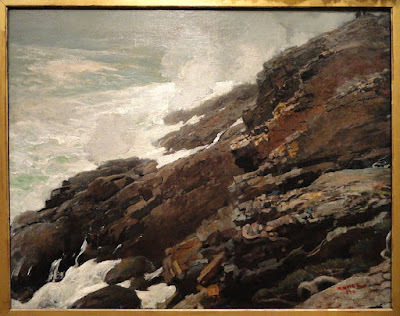 One painting from that long ago trip stands out in my mind, the Museum's Winslow Homer oil of his studio wrapped in a morning fog. Homer's painting immediately connected with me because it looked so much like the fog I often saw on the rocky shore of Lake Ontario where we lived. I credit that trip to the Museum as an important first nudge toward my becoming an artist. 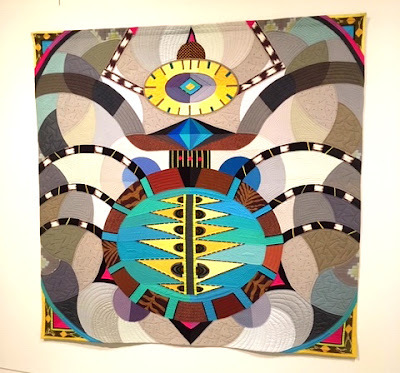 Wall panel introducing The Surreal Visions of Josephine Tota exhibition at Memorial Art Gallery. 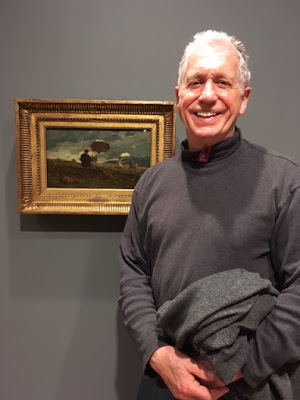 I was at Delaware Art Museum in Wilmington last Thursday. I've had a personal rule when visiting a museum that I have to look at the older art first. The whole drive up from Baltimore was through a punishing driving rain. Maybe some brashly colorful art would shake that chill out of my bones. So breaking with tradition my first stop was the contemporary gallery. I saw that Contemporary Curator Margaret Winslow had rearranged the gallery since my last visit, which makes everything look fresh. 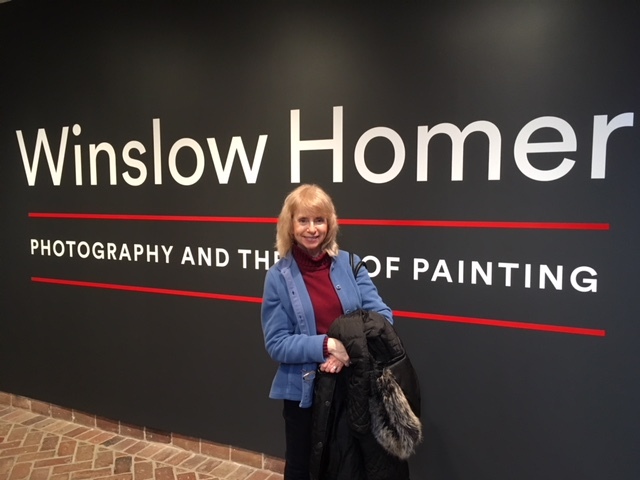 Last week my wife took a day off from work at the mental hospital (literally) and we drove up to Wilmington, DE to visit an old friend, the Delaware Art Museum. We had lunch with Saralyn Rosenfield who's the Museum's Studio and Family Programs Manager and who was a former student at my art school, MICA down in Baltmore. She was delightful to talk with and persuaded me to bequeath my untold millions to the DAM just as soon as my ship comes in.